Huawei Ascend Y210D user guide manual – Huawei Ascend Y210D was released on March 2013 with Dual SIM support capability and simple design. 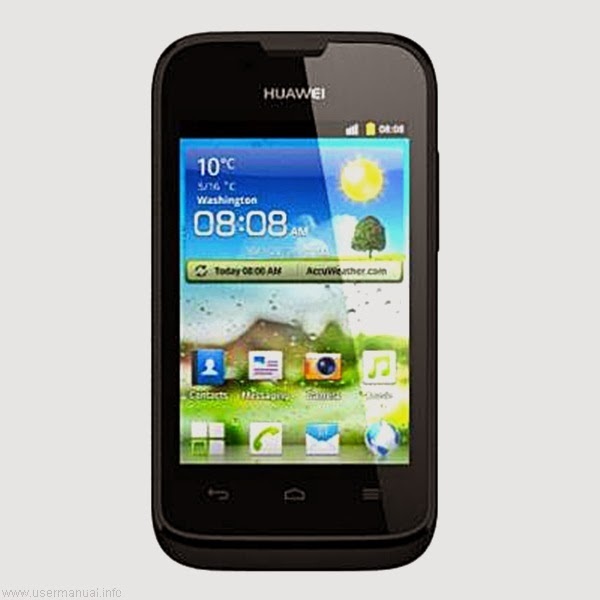 Huawei Ascend Y210D is entry level Android smartphone that offers 3.5 inches screen display and look generic. Huawei Ascend Y210D Android smartphone also bring Huawei visual tweak app but the disadvantage of the smartphone is just equipped with Android 2.3 Gingerbread not like latest smartphone with Jelly Bean operating system. Huawei Ascend Y210D user guide manual available in pdf file format with 2.71 MB size and contains of 27 pages. On Huawei Ascend Y210D user guide manual pdf, users will find list of helpful information regarding to quickly start the phone, key features, add functions and settings.